Oh the trials and tribulations of simply squeezing information out of the City of Beverly Hills! Over two years of bike advocacy here, more than half of our contacts with city officials concern not substantive issues around road safety but availability of public information and transparency in governance. That’s because City Hall holds onto public information with a clenched fist. For years, our city blocked search engines from crawling its website…until we called them out on it. We’ve berated the Transportation division of Public Works for not posting public documents generated for the Bike Plan Update Committee. And today, literally today, after two years of complaints, we yet again harangued City Hall to comply with the spirit of the state’s sunshine law, the California Public Records Act (a.k.a. the Brown Act). The Brown Act [summary] is key to government transparency and timely notice of official actions and many cities go out of their way to exceed the nominal 72-hours notice for the posting of agendas. They make voluminous information available from city committees and commissions. Our neighboring cities of Los Angeles, West Hollywood, and Santa Monica each maintain Internet portals that provide broad and deep reach into city business. 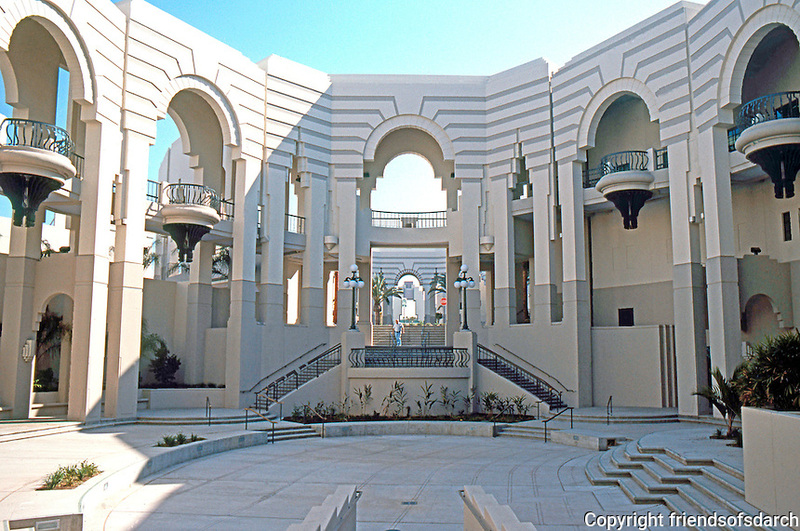 But Beverly Hills does not reveal its face to stakeholders; instead our government hides behind the ungainly Civic Center facade. Few departments, commissions and committees post much of substance about their doings, for example. To a safe streets advocate, that means a special request for a staff report or agenda-related materials. If you’re looking for a department work plan or priority list or staff roster, you won’t find it. As a city official will sometimes suggest, Make a public records request. Why the emphasis on the agenda? An agenda highlights important policy issues and enumerates the issues up for discussion (and possible policymaker action). You must parse it and the associated staff reports and supporting material in order to understand in detail how official actions may affect you or your quality of life. The agenda also highlights the actions that a decision-making body won’t be taking: if something is not noticed that body can’t take action on it. Not a few public actions have been undone because meetings have been improperly noticed or actions taken that weren’t announced on the agenda. Timely notice is key too, but in Beverly Hills even important agendas are sometimes not posted until barely 24 hours in advance (instead of the Brown Act’s required 72 hours). Last night’s Gateway planning meeting, for example, dealt with rezoning a significant part of our city, but the agenda (and voluminous associated materials were posted only the day before. And too many city meetings are noticed these days as ‘special,’ which precludes even the requirement for the bulletin-board style 72-hours legal posting. How else could Beverly Hills promote public engagement? We should link meeting agendas directly from the city’s online calendar. Today, inexplicably, the stakeholder must dig though website menus to find the appropriate committee or commission and then hunt down the agenda. We should link the relevant supporting material to those agendas. Few agendas link to the staff reports today, which means that relevant EIRs, staff reports, and consultant findings can only be accessed in person at a single location – the library. When it is open. Let’s call it Smart Agenda™. City of Los Angeles goes a long way to making bike-related information available. The city established a standalone Bicycle Services site with much information about routes, transit, safety, and parking. The city’s DOT has also established a Bike Blog to document the city’s ongoing efforts to lay down facilities, racks and bike rack corrals. Los Angeles is a big city, but the story here is not about size but culture change: after persistent, even relentless criticism, the LA ship of state is slowly turning, and they’re putting their best face forward to the public on the web. Santa Monica is a much smaller city (double the population of Beverly Hills) but they’re punching well above their weight when it comes to sharing information. The small city’s Active Living bike portal for example covers the same bases and is notable for framing cycling as a fitness & lifestyle choice and generally encouraging folks to get on a bike. We’ve been on this job for two years haven’t made a dent in the city’s disinclination to share safety tips or encourage safe cycling. The city won’t tell you, for example, that it’s legal to occupy the whole right-hand lane of ‘substandard’ with (<14-feet and/or insufficiently wide to share with a bus, say). Or that you may use any lane if you’re flowing with the motor traffic. We tell you on our Laws and Ordinances pages. But then we’ve got nothing to hide and we wear our agenda on our sleeve: we want you to ride, to enjoy riding, and to arrive safely. Now only if City Hall would lift a finger to communicate with stakeholders on any significant policy issue besides the battle with Metro…. This entry was posted in Soapbox and tagged Beverly Hills, Beverly Hills Public Works, Beverly Hills Transportation Division, Brown Act, public participation, Purple Line, transparency by Mark Elliot. Bookmark the permalink.